Evidence based therapies for optimal physical and mental health. Psychotherapy does not do away with stressful events, but it gives you the power to cope in a healthy way. It can also help you understand yourself. Integrative naturopathy is a holistic approach to health and wellness based on the principle that the body has the inherent ability to heal itself given the right circumstances and using gentle therapeutic techniques encompassing herbal remedies, dietary adjustments, lifestyle changes and counselling. This dual approach ensures the mind and body are supported during the healing process. There is a strong focus on evidence based medicine and science underpinning this practice. This means that some aspects of naturopathy, such as homeopathy or flower essences, are not used or recommended. Instead, there is a higher priority placed on herbal medicine, lifestyle adjustments, dietary changes and psychological health. It’s easy to get caught up in the multitude of options available in promoting good health – from complex testing to complicated protocols and micromanaging every meal! At the end of the day, though, you need strong foundations on which to build a strong body and mind. 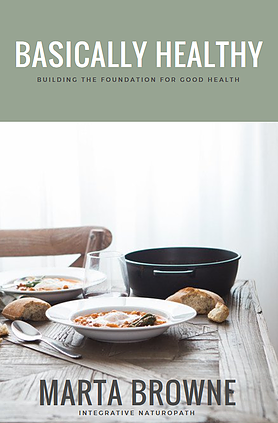 “Basically Healthy” is a guide to the five most important aspects of good health that will help build those foundations to get you off to a good start. For your complementary copy, simply complete the form to the right and it will be instantly delivered straight to your inbox! Integrative medicine is a healing-oriented medicine that takes account of the whole person (body, mind & spirit), including all aspects of lifestyle. It emphasizes the therapeutic relationship and makes use of all appropriate therapies, both conventional and complementary. There is a strong focus on open communication between all members of a care team. A doula is a person trained and experienced in childbirth who provides continuous physical, emotional, and informational support to a woman during labor, birth and the immediate postpartum period. A doula traditionally performs no clinical tasks, but focuses on supporting you in every way required to ensure a birth is as smooth as possible. You may have some questions before you book an appointment – this session is designed to offer an opportunity to learn about who I am as a practitioner and what I may be able to offer you. 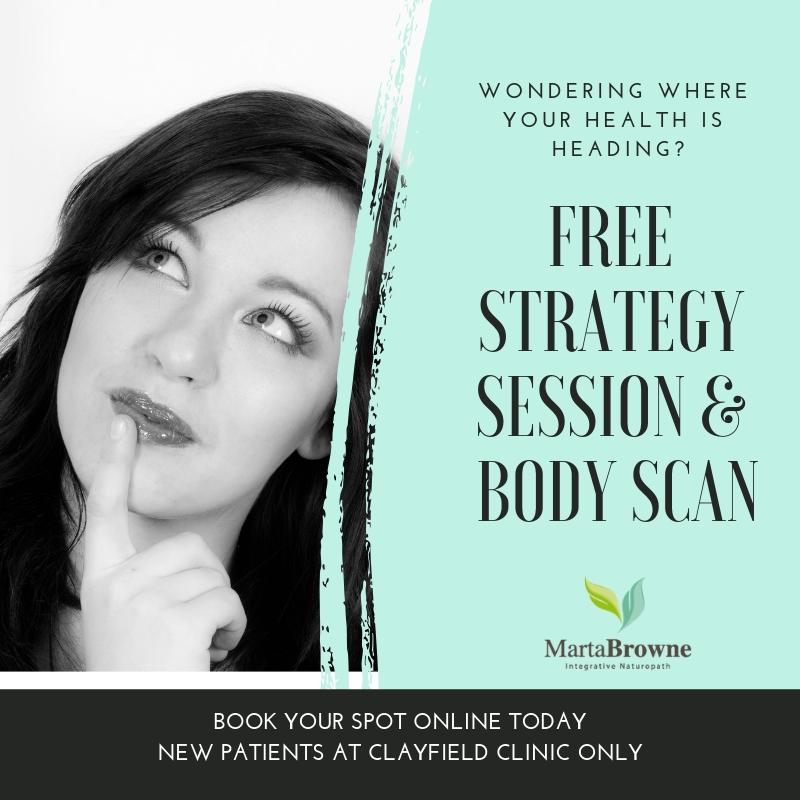 Book your FREE strategy session and VLA body composition scan to start your health journey today! Please note that this free offer is only available once per person and is not a consult that will offer prescriptions or treatment plans. Scans available at Clayfield only. 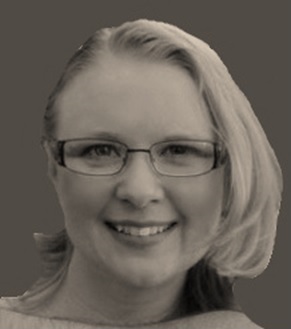 Marta is a psychotherapist and integrative naturopath, drawing upon both conventional and natural health sciences to assess, manage and prevent conditions by working together with GP’s, specialists, physiotherapists, psychologists, dieticians and other professionals to ensure the best possible health care outcomes. Her practice focus is on herbal medicine, nutrition, lifestyle management and counselling for the promotion of optimal health. Marta originally trained in microbiology and parasitology at UQ with a focus on tropical health, then followed this with psychology at UQ and QUT. She worked in private practice and hospital medical clinics for almost a decade and completed practice management at UNE before pursuing natural medicine through AIAS. She has a special interest in the gut and mental health, and has worked in drug and alcohol addiction treatment since 2015. Marta predominately uses CBT techniques, but has undertaken additional training in other counselling styles including hypnotherapy. Marta is also a certified doula able to provide support during pregnancy, labour and the immediate post-partum period to assist birthing mothers and new parents through this major transition. 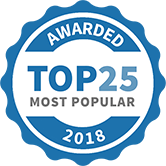 Marta is a committee member of the ANPA (Australian Association of Naturopathic Practitioners), has been interviewed on radio, print and online news, and has featured on expert panels in both print and online health publications.